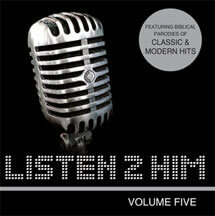 Published by England's One Way Street distributor, these albums are written and performed by Mark Bradford as Biblical parodies of classic hit songs. Mark also wrote our Righteous Pop Music series. Click titles to listen to sample.